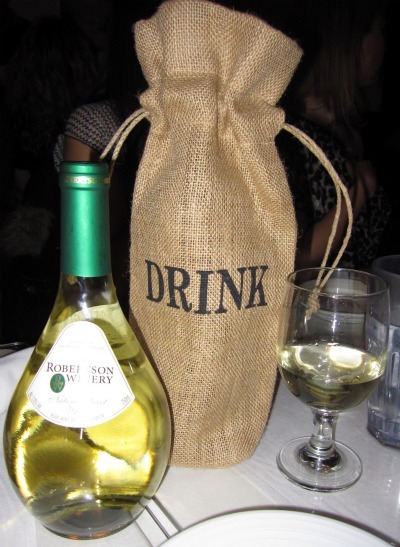 My friend Danielle brought this natural jute wine bag to a girls night out dinner at a BYOB restaurant. We all loved it. Drink we did! She received her bag as a hostess gift. 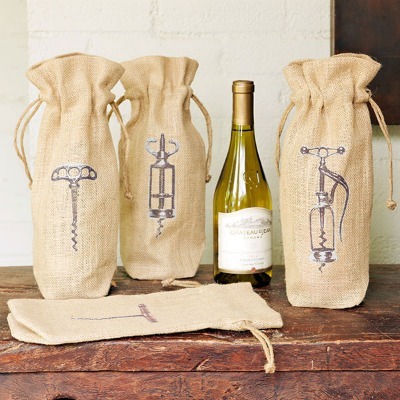 What a great idea for the wine enthusiast. Note: This post has been updated to reflect the correct current price! I love the acts of kindnes bags. I may get some of those. Thanks for sharing! Love these! My husband's grandmother sent me a bunch of wine bags she made. I absolutely love them! AH, I love it as well!! Gonna have to get my hands on some of those. What a great idea! 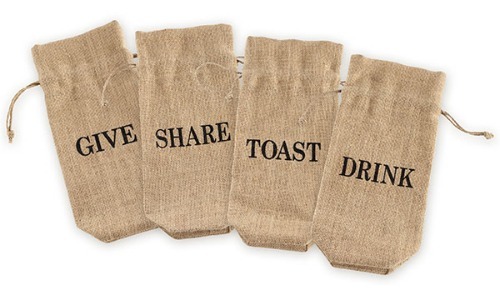 This would be perfect as a party gift. I've never heard of a BYOB restaurant-- how cool! Those bags are also great! That is a great idea! Love BYOB restaurants. I went to a couple in Hoboken, NJ but I haven't found any in Charlotte, NC! I love these bags! Great idea!